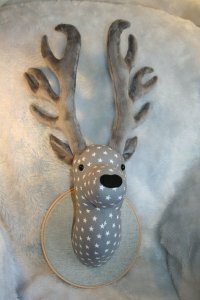 While the snow is falling, you probably want to create something that fits the theme. 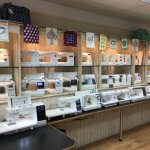 If you like to sew, the possibilities are endless! Here, we will take a look at 12 ideas to get you started. A warm blanket in the winter is a must. It’s even better if that blanket your wrapped up in has a one-of-a-kind touch. 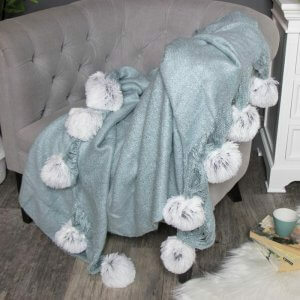 When you are creating your blanket, try adding an interesting aspect to it such as sewing soft and festive pom poms onto the edges. If you want to add an extra handmade aspect to your blanket, you can even learn how to make the pom poms yourself! 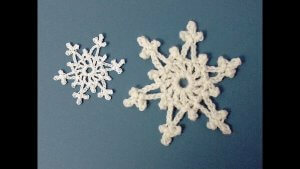 If you are interested in crocheting, you can bring a wintery theme to your projects by learning to crochet snowflakes. 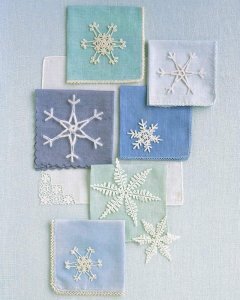 The process for creating these snowflakes is much like making a doily. So, even if you aren’t an expert when it comes to crocheting, snowflakes aren’t a difficult project but they have a beautiful appearance as well. Nothing says winter quite like a snowman. 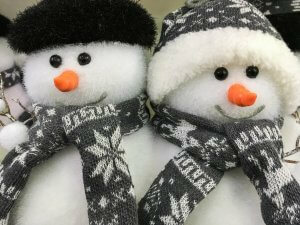 To start, you’ll need to start by using a couple of soft spheres as the body of the snowman – this is another great application of making your own pom poms! Once you have the body of your snowman, you can start bringing them to life. You can use your sewing skills to make little hats and scarfs for them. 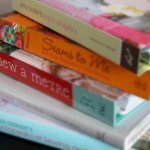 If you enjoy quilting but aren’t looking to jump into a large project such as creating a full-size quilt, you have a few options. 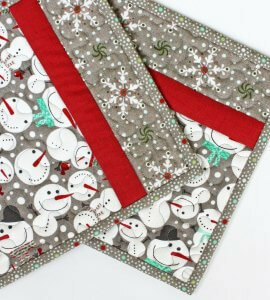 One of the cutest, wintery ideas you can do is to create quilted potholders. Not only are these a great piece of winter decor for your kitchen, but they’ll also be useful when you’re making warm winter treats! Winter is often a time when family and friends come together to spend time together and share meals with one another. 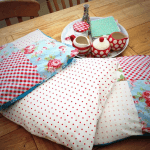 With all this time spent around the table, why not use your sewing skills to spruce up the table? 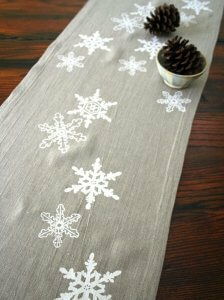 A table runner can be a great way to add a distinctive look to your dining room. 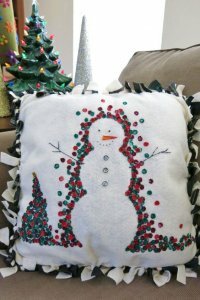 You can make it fit the winter theme by sewing on designs such as snowflakes. 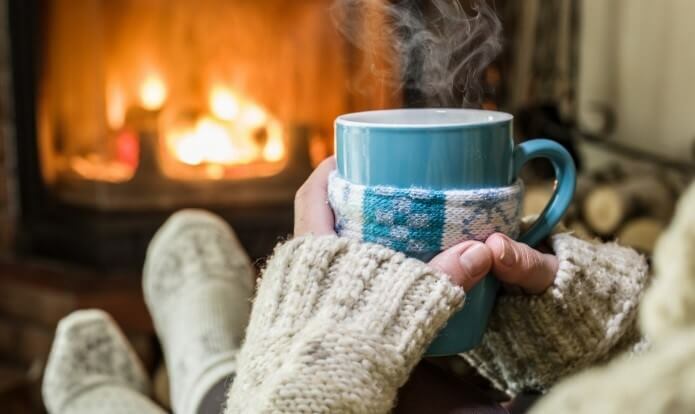 During the winter, nothing is better than a warm fire. 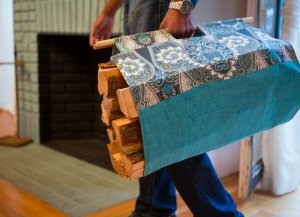 When you are carrying piles of firewood awkwardly in your arms in and out, you might be wondering if it’s worth it. A way to make this easier is to sew yourself a firewood holder. 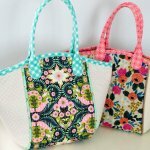 Just make sure your fabric and seams are strong enough to hold the weight and you can use a pair of thick dowels as an easy handle. This pillow is a soft option that is unique compared to most pillows that you might be used to sewing. 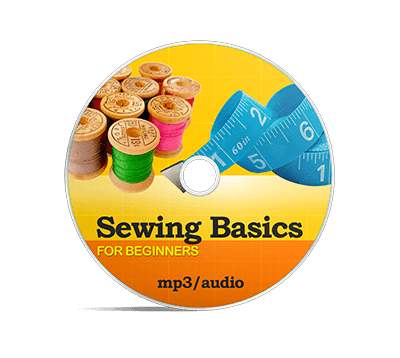 Instead of sewing the edges, you’ll want to cut slits into the fabric for the front and back around the edges. Then, take the sections you’ve cut and then tie the front and back together. You can decorate this pillow by sewing a design on the front. However, you can also personalize it by adding a tag or label to make it your own, gift it, or sell it on your Etsy store. 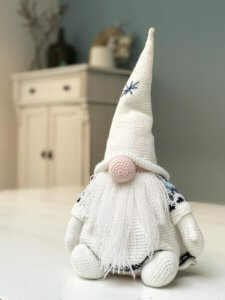 A more complicated crochet character you can bring to life is a little winter gnome. A cute way to do this is to crochet a body and a hat. For the face, just allow your gnome’s nose to poke out between his sweater and hat. After all, he has to stay warm in the winter! 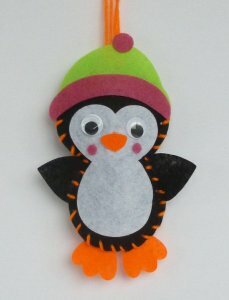 A felt penguin is an easier sewing job that can add a winter touch to your home. In fact, it’s a great craft to do with your children. To start, you’ll want to cut out everything you need for your penguin from felt – hat, body, feet, and wings. Then, you’ll want to start sewing up your penguin but before you sew the body shut completely, you’ll want to add some stuffing to give it shape. Compared to the crocheted snowflakes we looked at earlier, these snowflakes are more delicate and the perfect addition to a cloth for your kitchen or bathroom. Another dining room addition you can put together is a set of placemats. 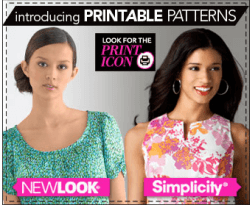 You’ll want to make these much like you would make a small quilt. 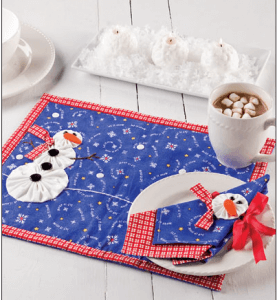 You can sew a snowman on the top of the placemat for extra festivity.